With the Biobest poll we introduced a new way to learn what you think about important questions. Biobest believes in the potential of IPM to produce a healthy crop without relying on pesticides. Ideally our ambition is to get to “zero pesticide use”, but of course every step in the right direction counts. 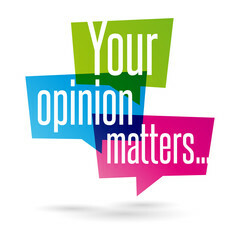 Therefore, we asked your opinion about the extent to which the implementation of IPM has helped you reduce pesticide use in your crop. 167 growers responded to the question: “To what extent have you been able to reduce the amount of pesticides used in your crop with your current IPM strategy?” We are quite happy to announce that a large number of participants indicated that IPM has enabled them to reduce the use of pesticides to almost zero (31.14% of respondents). 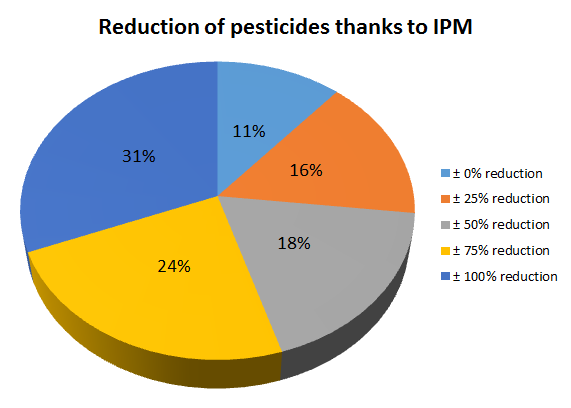 With another 24% estimating the reduction in pesticide use at approximately 75% and 18% at approximately 50%, which means around three quarters of our respondents indicate that pesticide use is being reduced to half or less. That is definitely a big win for the environment, for the consumer and for you as a grower. 16% of respondents indicate a reduction of around 25 % and 11% say they did not experience a noticeable reduction in pesticide use. In the latter case, growers may see other advantages such as a shift to less toxic or less persistent pesticides or an altogether better level of biocontrol. We noted some differences by country. The response “my pesticide use is almost zero” was most frequently given in the USA and in Belgium. In France and Canada, the predominant responses were 75% to 100% reduction with 50% reduction being the most prominent category in the Netherlands. We would like to thank our voters for taking part in our poll.